What is the relation of weather to health? Yes, weather has something to do with illnesses such as influenza, asthma, and stress. Because of global warming, it is becoming difficult to forecast weather condition even a few minutes ahead of time according to weather forecasters. For sure, you had experienced the moment where you were about to go out or go home, when there was a sudden torrential downpour that made you to temporarily shelter yourself. How does global warming affect our atmosphere and increase sudden downpours? How to know it ahead of weather information and how to protect yourself during lightning, and of course, prevent mud splashes during rainy day? First of all, you should know how sudden downpours (“Guerrilla” downpours) occur, especially in the middle of asphalt jungles. According to weather watchers, there were only few downpours during the time of our great grandparents. 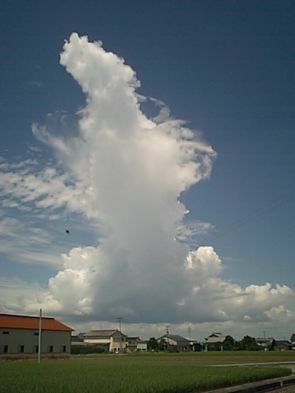 Today, especially during hot summer, we often see “cumulonimbus clouds” in the sky. Cumulonimbus clouds are mainly caused by overheated land. When the layer of air close to the surface is heated, hot air goes up and creates cumulonimbus clouds, which causes rain. Can yu imagine that hot air comes from heated parking areas, golf courses, buildings, asphalt and concrete roads, and heated area of factories in the cities? As you know in physics, hot air goes up and cool air in the sky is condensed to form a cloud that brings sudden rain. 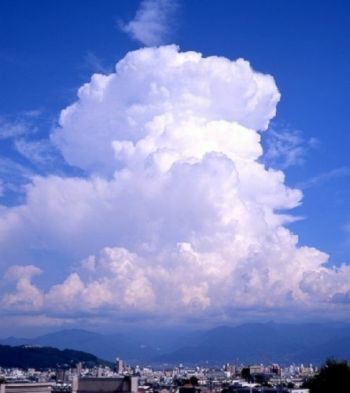 Sometimes, in a clear sky, huge sizes of cumulonimbus clouds will suddenly appear and produce rainfalls. Yes, we know that most of these phenomena do not last long. However, this phenomenon is occurring as much as five times more than 40 years ago, because of ascending current (flow of hot air) in today's warm metropolitan areas, known as the “Urban Heat Island (UHI)”. These phenomena directly influence our health because of this global warming. We usually get our feet muddy after sudden rain like the photos above. Fortunately, there's a way to avoid it. Using a high-speed camera, we tried to see how the splashing of mud occurs. Here we found a technique on how to avoid mud road splash. 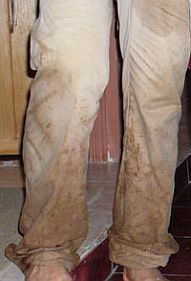 Most people think of walking slowly to keep the mud from splashing. That is a common misconception! 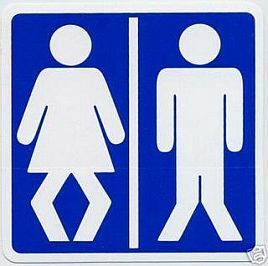 The right way is to walk “bowlegged” or “bandy-legged” as seen in the above illustrations. Interesting? 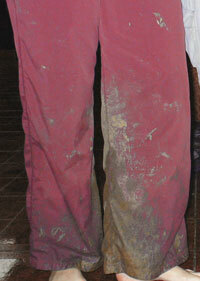 Now, you can reduce your worries of mud splash. How to protect yourself during thunder and lightning? If you are outside, get inside your car. That's one of the safest places. Do not go beneath the trees. That's one of the most dangerous places. From the above information, you will certainly be able to reduce your stress. Global warming is the major cause of torrential downpours nowadays. Let us try to save our planet by means of eco solutions. Let us plant trees, too. Planting trees also reduce world maladies.